How To Get It Done Without Being Outdone! 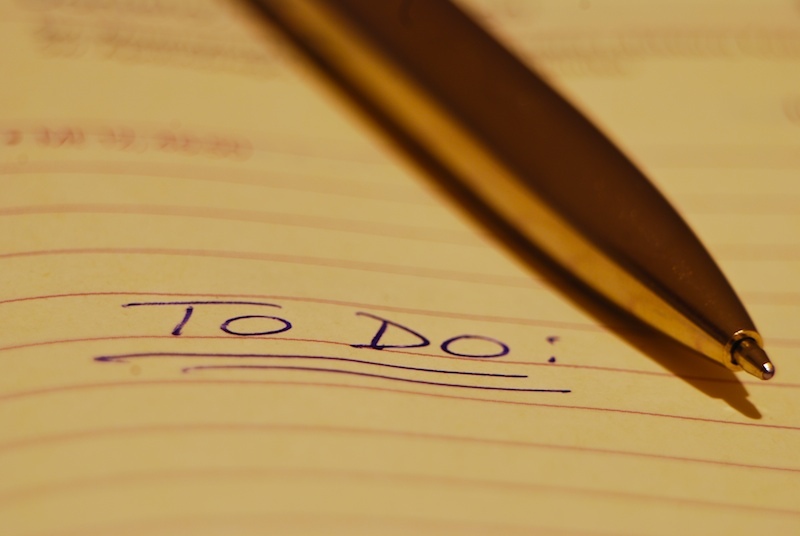 A typical day in my life begins with a very long to-do list and often ends the same exact way. It always seems that there are never enough hours in a given day to accomplish what needs to happen. Just like I mentioned recently, I believe that it is easier to live with excuses than to start living on purpose. 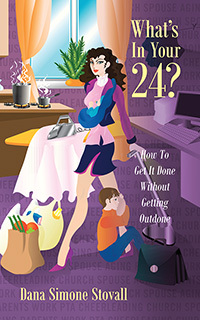 When Outskirts Press contacted me with Dana Simone Stovall's book, "What's in Your 24?" and the opportunity to read & review it, my initial thought was, do I have time to add another thing? Then, reading a little deeper into the synopsis and seeing that this book promises almost immediate life change for busy moms like me, I knew this was a book I should make time for - not to mention the book claims to be readable in 1 hour. I immediately thought, "1 hour? I can do that!" and put the book on my kindle app. Actually taking that hour for myself to read was the hardest part of this book, but upon reading it, I found myself humored that this very tendency to not make good use of my time was exactly what this book addressed. I found myself pleasantly surprised by the blunt honesty and down-to-earth rapport that Dana builds with her readers almost immediately. I felt at times that Dana was sitting down for coffee with me and setting me straight. I tend to "chew on the meat and spit out the bones" when I read a book presenting ways of improving life or habits or anything change-related. This book had a lot of meat for being only 60 pages! If I was to offer any constructive criticism about "What's in Your 24?" it would be that the area that discusses what it means to put yourself first in terms of taking care of yourself, should have a side note to those who will immediately feel guilty for even the thought of that. I think that Dana does try to explain this without getting too spiritual - but my thought is that if you are going to quote Bible verses at all, then make sure you take a minute to address that conflict which I believe is a very real internal struggle for most Christian wives and mothers. What she did share on putting your own needs first was definitely a challenge to my typical self-sacrficing mentality, but it got me thinking about how Jesus had no problem stepping away from the crowds, or heading out for three hour prayer sessions when they were needed. That was his way of taking care of himself and avoiding burnout, and I have been learning a lot about how necessary time out for self-care is. You know when you hear something and it just clicks? I think that the very timing of my reading of "What's in Your 24" was perfect. The tips and truth shared with a bit of laughter and love make reading this book an hour well spent. And now it is time for me to do what the book says and "apply the knowledge" I've gained to increase my efficiency and move me passionately toward my life vision. Do you feel like you could use some help being efficient? Have you lost your life vision? "What's in Your 24?" is a great (and fast) read that will help you with both. Thanks to Dana & Outskirts Press, one of you will snag an autographed copy! I would take a hot bubble bath! If I had one more hour, I'd probably sit on the computer or sleep lol. I'd use that hour to blog so that I'm not so distracted at work! I would probably take a nap - haha. Thanks for the giveaway!! I NEED to read this book! I've been so overwhelmed lately with school, family and blogging-- eek!